It’s been four months since I’ve been working with Navigant Luxury Vacations on your behalf, and they have been the most rewarding months of my travel career. Working from my home office, my office at Navigant, or my laptop anywhere in the world has allowed me to work on your schedule, available to you whenever you need my services. In those months I’ve travelled the world, some on my own and more with you, and it’s been an exciting ride. On my own, I’ve attended the largest travel expo in the world, in London, experienced the Orient- Express train, tasted Tuscany and Venice, and sampled the art and culture of New Mexico. And with you and other clients, I’ve explored Namibia’s Skeleton Coast, reveled in a Fiesta Bowl tail gate party, savored the luxury lodges of Australia and New Zealand, and then relaxed in the sun on the Mayan Riviera. I’ve also ushered my corporate clients from meetings in Minneapolis to retreats in Rio. Hotels - hot, hip and happenin'! There is a general trend of consolidation in the luxury hotel market, with new hotels aligning themselves with the four or five leading luxury brands. 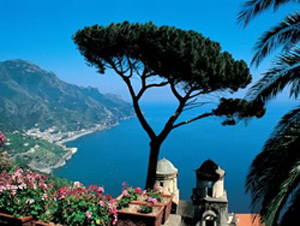 For example, the time-worn Caruso on the Amalfi Coast was completely refurbished and has re-opened in the Orient-Express collection to great acclaim. Each hotel that has recently become part of One and Only (such as Kanuhura in the Maldives) has enjoyed quick sell-out situations. To the discriminating traveller, this means that despite a hotel’s newness, if it has opened under one of the luxury umbrellas, book fast! The Kasbah Tamadot is Richard Branson’s amazing new Moroccan resort located in the foothills of the high Atlas Mountains. This latest addition to the Limited Edition by Virgin portfolio of special places owned by Branson is one of the most stunning hotels in North Africa. Web site. The Emirates Palace in Abu Dhabi is a wonder to behold for all who venture through its magnificent gates. Fairytales come to life as your senses are treated to an extraordinary and unforgettable experience. Direct flights by Etihad Airways from Toronto. Web site. North Island resort in the Seychelles is a conservation-oriented, ethically driven company inspired by the philosophies of honoring their environment, and spoiling their guests. A unique, and regenerating, educational experience in an exclusive luxury lodge. Web site. The Mandarin Oriental, Hong Kong has begun a $140 million renovation, losing the property until late August. The renovations will see the hotel's balconies enclosed, increasing the size of the rooms. Westin Hotels goes smoke free. With research showing that 92% of Westin's guests request a non-smoking room when traveling and do not smoke in any part of the hotel, including public areas, Westin is the first smoke-free upscale hotel brand. Fairmont Hotels, anchored by the famous Royal York and Chateau Laurier, has just been bought by a Saudi group, Kingdom Hotels, which also controls the Raffles brand. Orient-Express Hotels is going one up on those pillow "concierges" and technology "butlers" at other high-end digs. In the spirit of love and St Valentine, they have introduced a Proposal Concierge to help pop the question. For most vacationers, a hotel is a place to sleep and shower. Here are five instances, however, where the hotel is the destination. Enjoy MS-NBC’s roundup of the world’s top five most bizarre hotels, and make your next holiday a decidedly different experience. Would you like that coffin lid open, or closed, madam? Later this month, your Confidante is traveling to Charleston SC, for the inaugural meeting of the world-wide Orient-Express Top Travel Agents Club. I am honored to be the only travel professional in Canada chosen to be part of this group. In March, it’s off to Singapore to the Virtuoso Symposium for five days of meetings with luxury travel suppliers from around the world. I’ll be taking a week’s vacation, as well, including a cruise on the Star Clipper around Malaysia and Thailand. 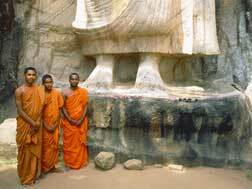 Sri Lanka, resplendent isle, serendipitous, the new Bali, call it what you will, Sri Lanka is one of the most beautiful countries on earth. This pearl at the end of the Subcontinent’s necklace offers culture, history, friendly people and some of the most magnificent and empty beaches on earth. 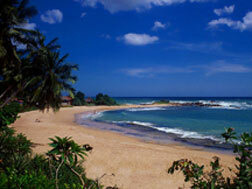 I include Sri Lanka as the Feature Destination because there is so very much to offer the sophisticated traveler. The perfect pre- or post- destination to a more comprehensive India-area trip, it can also be perfectly combined with the Maldives for an unbeatable culture / beach combination. So confident in the future are hoteliers, that Aman Resorts has recently opened two properties offering pure pampering and luxury on the serene south coast of Sri Lanka. Amangala and Amanwella showcase this confidence. In fact, one of my more indefatigable clients returned this past week with glowing reports. Call me anytime to discuss this amazing destination. My association with Navigant Luxury Vacations, a Virtuoso Member Travel Agency, allows me to offer many additional Virtuoso benefits to my clients, including complimentary Voyager Club membership, special hotel rates and upgrades, and exclusive travel experiences. For example, when you stay in a Virtuoso-affiliated hotel or resort, you receive benefits that may include a category upgrade, complimentary transfers or complimentary breakfast. • special Virtuoso Voyager Club pricing. Call me today for more information.